Biologists have long assumed that all giraffes are part of a single species, but a new study in Current Biology throws everything we thought we knew about giraffes on its head. A first of its kind genetic analysis has found that the animals actually belong to four distinct species, each hailing from a different region of Africa. The species are said to be as different from one another as polar bears are from black bears. In the past, biologists had observed some differences in various groups of giraffes, based on geographic distribution, coat markings, and number of fur-covered nubs (called ossicones) on the giraffes’ heads. In the past, the animals had been categorized into nine different sub-species – a system we know now to be completely inaccurate. The new research grew out of concerns that zoos sharing giraffes and breeding them with one another might be reducing the biodiversity of the species. So ecologists collected 190 tissue samples from animals across Africa and tested them over the course of seven years. What they found were four highly distinct species that don’t seem to interbreed at all in the wild. Two of these, the Masai giraffe (G. tippelskirchi), and the reticulated giraffe (G. reticulata), are matches for previously-identified subspecies. The other two, the southern giraffe (Giraffa giraffa), and the northern giraffe (G. camelopardalis), cover several subspecies each. Related: Giraffes are in danger of extinction—help save them! This new knowledge has huge implications for conservationists. 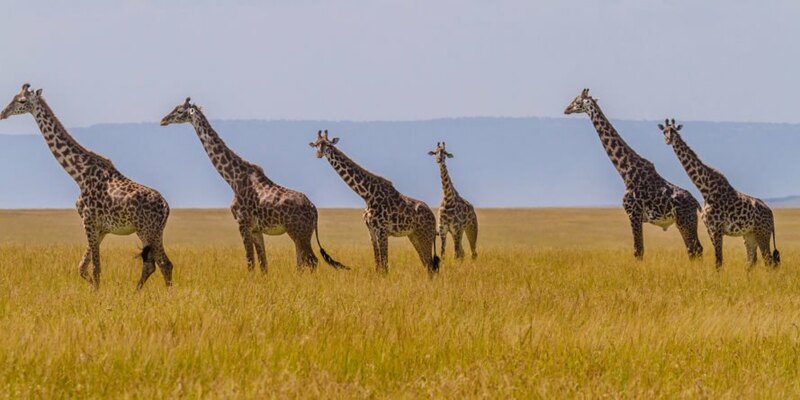 Until now, giraffes have been considered a species of “least concern,” but now knowing that the populations of each species are much smaller than believed, it may make sense to categorize at least three of them as formally threatened. Northern giraffes, for example, are believed to number less than 4,750 individuals in the wild, while reticulated giraffes number only 8,700. Zookeepers are also going to have to adapt to this new research. Most giraffe populations in zoos are hybridized, but if zoos wish to help preserve biodiversity, they need to be more selective in their breeding programs.